Sierra Leone has announced a state of public emergency following the deadliest Ebola virus outbreak in human history. President Ernest Bai Koroma has declared the epicentres in the east of the country would be quarantined with the assistance of security forces. 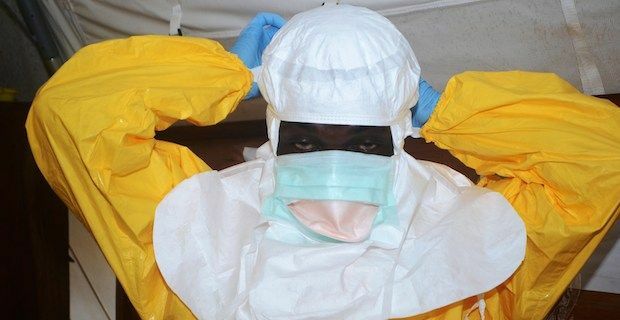 Official UN figures place the death toll from the Ebola outbreak at 729 people in the West Africa region with 233 of those deaths occurring in Sierra Leone. Neighbouring Guinea and Liberia have also seen large numbers of cases ever since the first reported death occurred in Guinea back in February. Ebola is spread through the transfer of body fluids and symptoms include nausea, sore throat, muscle pain and a high fever. The virus kills about 90% of people infected and early detection is absolutely key in overcoming it. President Koroma and Liberian President Ellen Johnson Sirleaf have both cancelled their plans to attend the US-Africa summit in Washington next week because of the worsening situation in their countries. The leader of 50 African nations are due to attend the 3 day summit in what will be the single largest gathering of African leaders on US soil ever. The International Air Transport Association(IATA) has declared that it will not recommend any travel restrictions or closures of major borders after consulting the World Health Organization. IATA has said that as Ebola is a very difficult virus to contract and because there has never been a reported case of someone contracting it on a plane there would be no need for such restrictions.